The Department of Agriculture and Rural Development in Hanoi and People’s Committee in Me Linh District yesterday convened a meeting to discuss measures to help turnip farmers in Trang Viet Commune who had to throw away ten of tons of turnip because the price of the veggie is so low. The administrators and representatives from enterprises attended also the meeting. 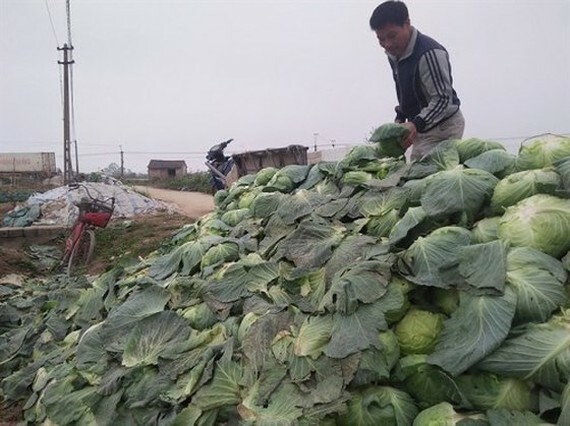 The chairman of Dong Cao Cooperative said farmers started to plant turnip in November and December in 80 hectare; normally, the veggie will be sold on Tet holiday ( the Lunar New Year) yet this year, the veggie had not been sold out though the holiday passed one month. 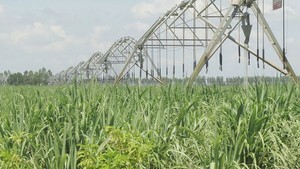 Farmers said good veggie is sold at the farm at VND3,000 per kilogram while overripe kind fetches VND1,500 a kilogram. Despite its dirty cheap, farmers can not sell it because it has been a bumper harvest. As usual, farmers will face empty profits even with this bonanza as prices have slumped to a dirt cheap rate. Plus, this year, farmers grow big Japanese seedlings; however, traders refused to buy because consumers thought the veggie is Chinese-grown kind, said a farmer. At the meeting, the chairman informed that farmers are harvesting 1,200 tons of turnip in 20 hectare; worse, the veggie in 20 hectare is going to be ripped. Chairman of Me Linh District Doan Van Trong proposed enterprises beefing up their efforts to rescue farmers at a fair price. However, firm representatives fretted because the quantity of turnip is so large that they can not purchase all. They asked the government to call for more enterprises jumping in the rescue. Meanwhile Vietnamese farmers are throwing away veggies, as per a report on February 2, 2018, Vietnam still bought 3,000 tons of vegetables from China. After media released articles that farmers in northern and central regions throw away vegetables because vegetable prices plunge drastically, the Ministry of Agriculture and Rural Development sent its document to the Department of Plantation, the Department of Plant Protection and the Department of Agro Processing and Market Development to investigate the situation and to have support farmers. Reports must be sent to the Minister of Agriculture and Rural Development no later than March 19, 2018.